The number of sketchers who are able to meet together varies widely with our group, but never the amount of interesting things that happen! 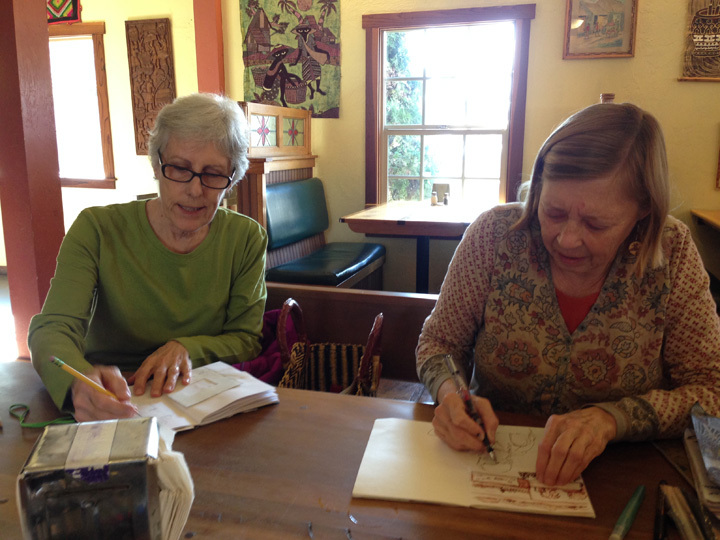 Here are two of the “Barbs” – Barb Sommers and Barb Shirk – hard at work. 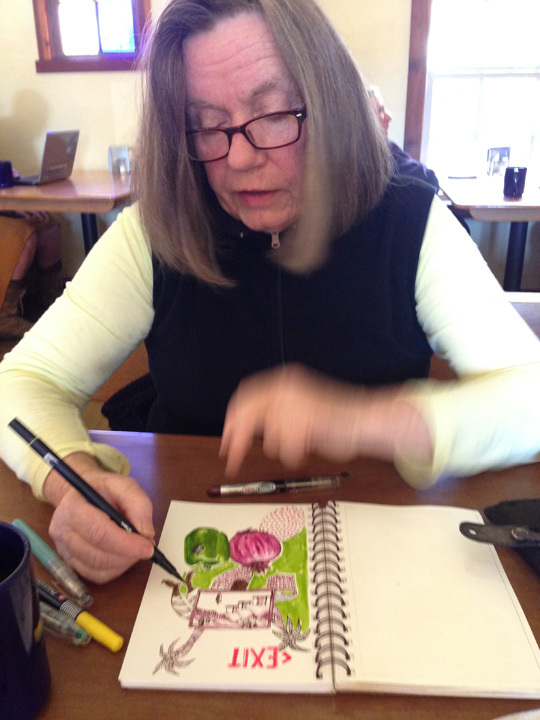 Barb Shirk was using her Lamy pen for drawing (which comes with water soluble ink), and said that when she sprayed it with water it turned out to be TOO much water! You don’t learn without trying. 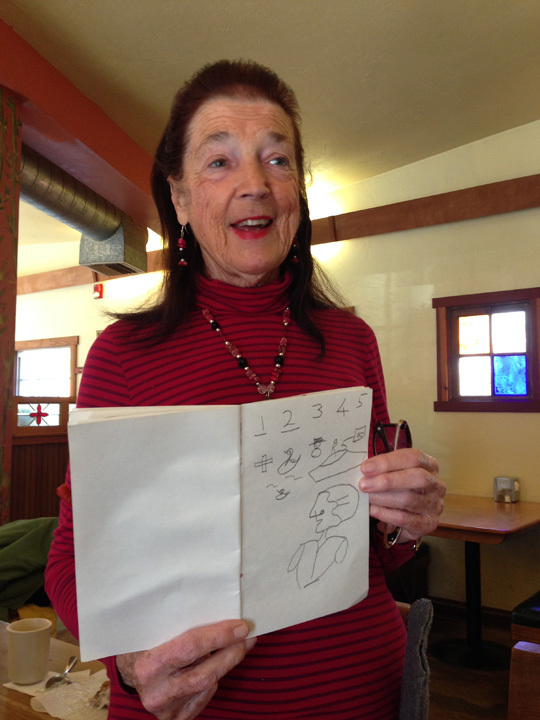 A woman named Eunice showed us drawings that she has created from numbers: 1 becomes a cross, 2 a duck, 3 a snowman, 4 an old woman, 5 a boat. 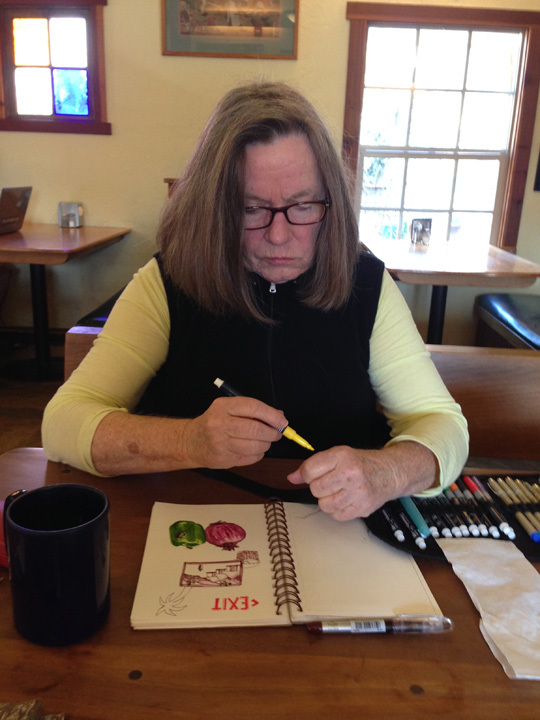 She said she sometimes does her drawings for children who come to the bakery for their artistic amusement.